in St. John’s, NL, where the concrete sidewalk dramatic-ally weaves from the straight and narrow to accommodate the base of a very old tree, I stop on a Sunday morning to gaze out on the still waters of Quidi Vidi Lake. As I linger there, reflecting that in rural Ireland similar accommodations have been made to divert roads and pathways around special trees and even a fairy ring or two, I spot something remarkable. A gigantic leprechaun, replete with red beard, a fine felt hat, a splendid green suit - and running shoes! - sashays along the lower path. Nobody else even gives him a second look. He’s as much at home here as he would be strolling down O’Connell Bridge in the heart of Dublin. 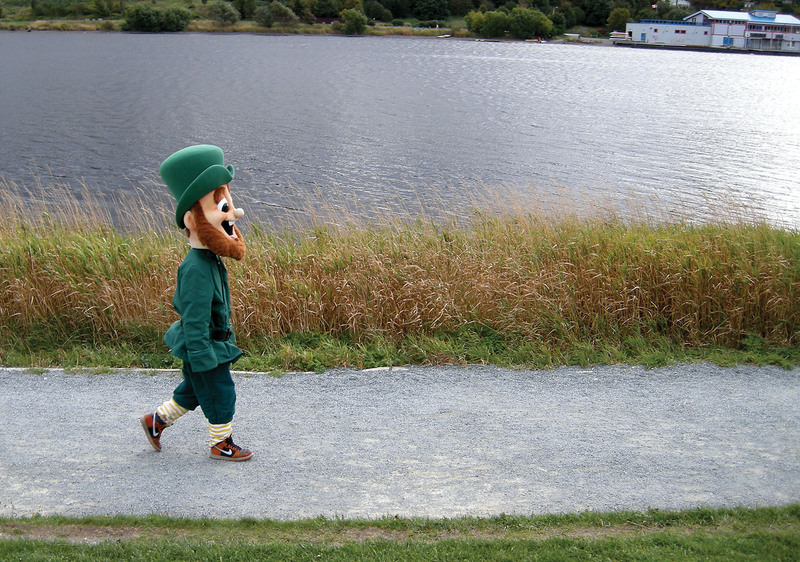 That wildly Irish sight, likely a mascot heading to or from a charity run, is just one of numerous wonderful encounters I’ve had with unexpected Irishness in this province. 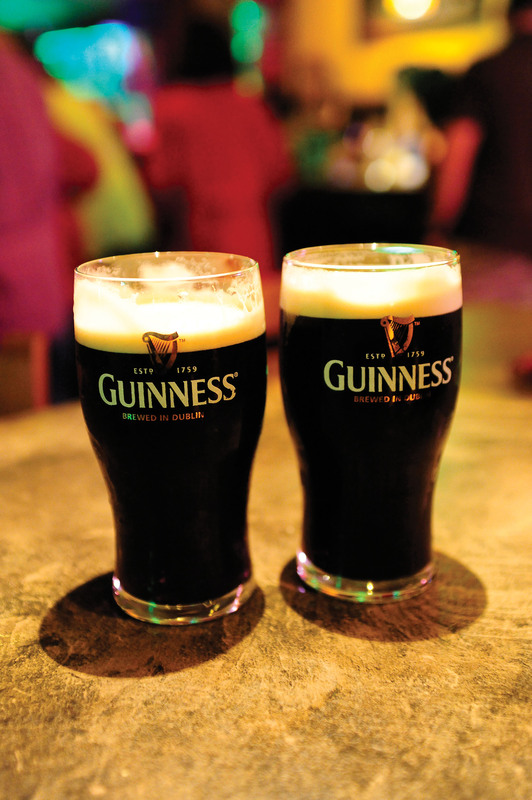 To mark the upcoming St. Patrick’s Day celebration, here are seven of those subtle (and not so subtle) connections I have found between Ireland and Newfoundland and Labrador. Let’s begin with the obvious. St. Patrick’s Day is a big deal in St. John’s - a much bigger and longer celebration than exists in its homeland of Ireland. We can thank the former proprietors of the legendary Erin’s Pub on Water Street for that. 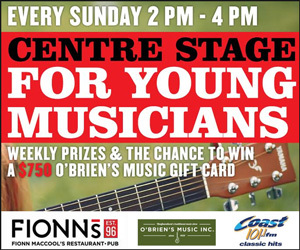 In 1986, Ralph O’Brien, a native of Ireland, bought Erin’s Pub and his band, Sons of Erin, had its own home stage after 20 years of hectic touring. In a chat last year, he tells me that when he was growing up in Ireland, St. Patrick’s was a fine time but always only a single day. That’s how it was in Newfoundland and Labrador, too, until Ralph had a bright business idea. “We had made some ownership changes and I was looking for a way to get a few extra folks in, make a little more money for the pub, but also to showcase all that great local musical talent we had by giving them a place to play,” Ralph says with a smile. 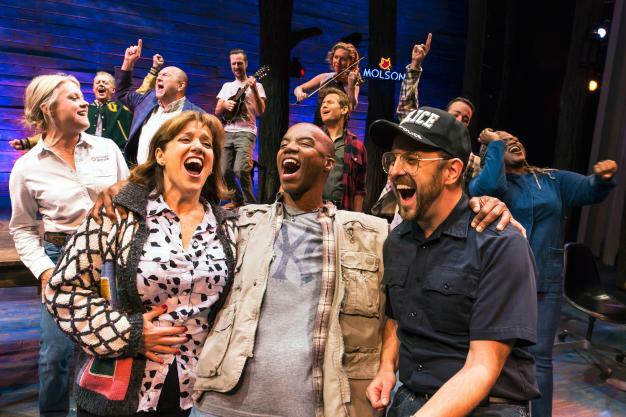 “So we were the first venue that extended St. Paddy’s Day to make it a full weekend, and then it was natural to take the Thursday night before and so on. Some links are surprisingly crystal clear. Waterford, Ireland is famous for its crystal, and some of the Waterford crystal patterns appear in traditional outport furniture. For instance, a common crosshatch pattern on furniture is rendered as hobnails. 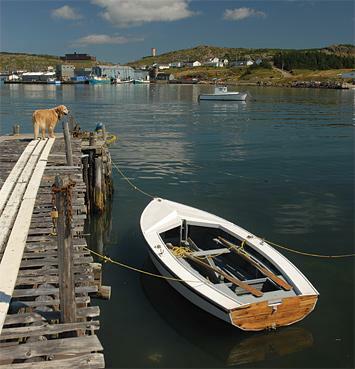 “The inspiration for hobnail carving in Newfoundland can be traced to Southern Ireland where they were used to decorate cut glass in the Waterford and Cork glass-making areas,” explains Walter Peddle, a retired curator of history at the Newfoundland Museum who has studied and written extensively on Newfoundland vernacular furniture. In terms of Irish calendar customs that have made their way to Newfoundland and Labrador, St. Patrick’s Day is only one of many, and a relatively recent arrival at that. A much older religious day is St. Brigid’s Day (February 1), and although it is not commonly celebrated in Newfoundland and Labrador, there are places where it was well known. Rose Connors of Colliers recently told me about marking St. Brigid’s Day when she was a child. In Ireland, the custom of visiting with a doll as an effigy of the saint was one of the elements of the tradition. Another was men and boys, called “biddy boys,” wearing straw headdresses and costumes. The late Frances Laracy of Conception Harbour once told me that when she was a girl her older relatives would recall visits from the “strawmen” in the winter. While she never saw them personally and did not know the specific reason for them as it had died out by her day, she said they defi-nitely were not mummers or wren boys, but something different. I sometimes wonder if they were a local version of the biddy boys, a term I’d heard but never realized had anything to do with St. Brigid’s Day. Irish poet William Butler Yeats once wrote, “Being Irish, he had an abiding sense of tragedy, which sustained him through temporary periods of joy.” The Irish and Newfoundlanders and Labradorians both enjoy happy times but really love a good scary story, so many tales of Irish fairies, ghosts, mermaids, miracles and monsters came across the ocean and took root here. 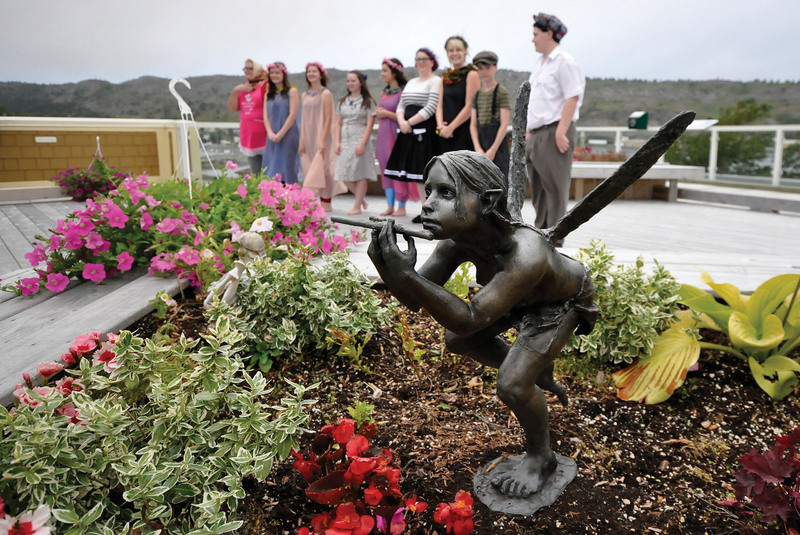 Irish fairies, in particular, are very much celebrated in Newfoundland, with fairy gardens, fairy doors and well-worn advice to keep fairies at bay. Such things as tossing a glove into the centre of a fairy ring, carrying bread in your pockets, wearing an item of clothing inside out and never wearing red, and carrying a religious medal were said to protect against being taken. A special concept that has carried over from the Old World is the fairy ring, a naturally (mysteriously?) occurring circle of trees, shrubs or flowers. If one stumbles upon a fairy ring, they must be careful not to disturb it or offend the local fairies. Even today, the locations of fairy rings in Newfoundland and Labrador (as in parts of Ireland) are closely kept secrets, be it for reasons of superstition or simply to protect delicate areas from unwanted traffic and damage. The Irish tradition of going around with the Wren, the King of All Birds, still makes an appearance on St. Stephen’s Day (December 26) in Newfoundland and Labrador. The Wren visitation is an ancient custom of “Wren Boys” going house to house with an effigy of a tiny bird and reciting a particular song/poem on December 26, in exchange for a few coins or a piece of Christmas cake. The Wren visitation still happens in places such as Colliers, Renews, and Riverhead in St. Mary’s Bay, to name a few. 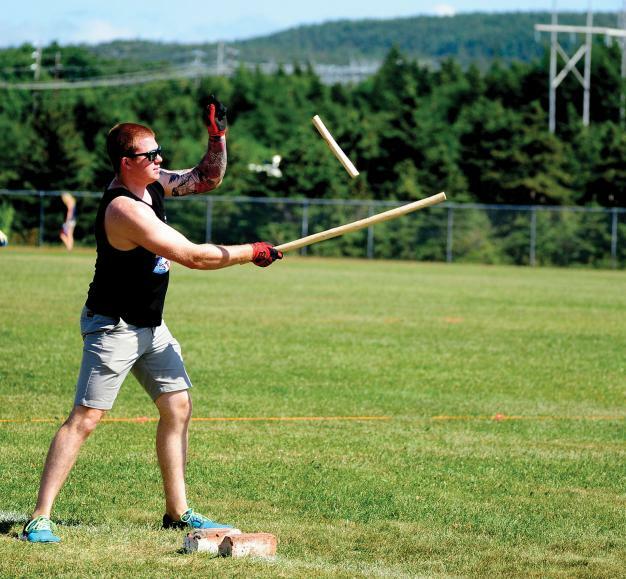 You may know diddly about Tiddly, but folks in the town of Carbonear could give you lessons in this ancient Irish game played with sticks and stones. 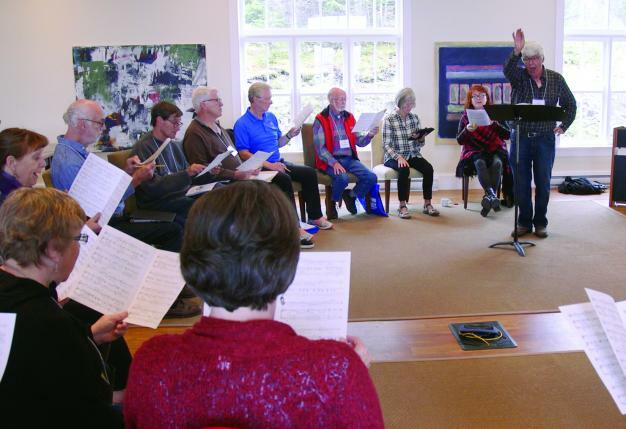 In fact, Carbonear has hosted the annual Tiddly World Championships for more than a decade. When in doubt, speak softly and carry a big stick, especially in the Irish game of hurling, which has a history in St. John’s dating back to 1788. 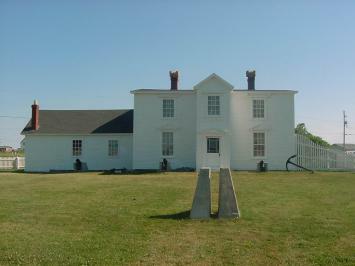 An exhibition game held on September 26, 2009, in Bay Bulls with combined teams from Ireland and Newfoundland and Labrador may have been the first formal match hosted in this province in roughly 125 years. 110 metres. It is thought to be the world’s fastest field team sport in terms of game play. Ross Houlihan, a native of Waterford, Ireland, was one of the referees at the Bay Bulls game. 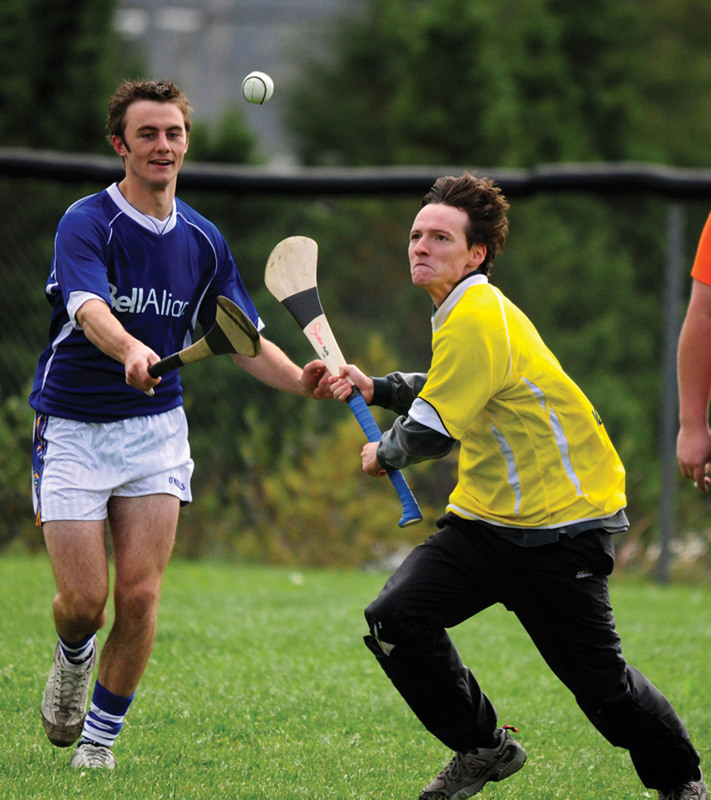 He says, “Hurling was played in Newfoundland up until around 1880, when the Catholic Church began to crack down on it. Games regularly ended in fights and bloodshed as rivalries turned nasty if a game was not going to one’s hopes.” This particular match ended in all smiles and camaraderie as part of the Festival of the Sea.